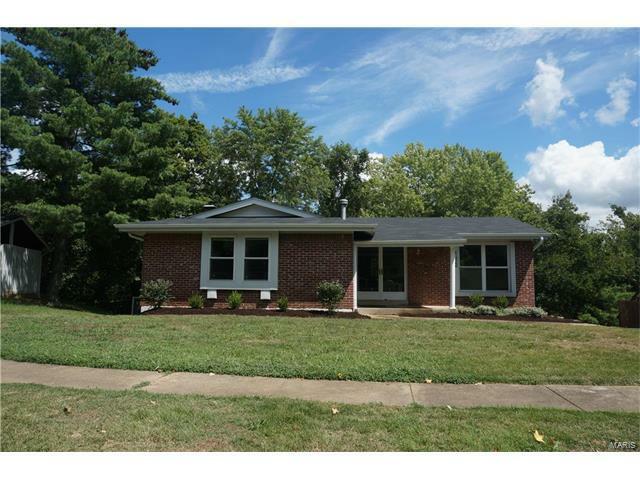 Sophisticated ranch home on a quiet cul-de-sac street in Ballwin. This 3 bedroom, 2.5 bathroom home has been updated throughout. Bright open floor plan with updated kitchen, bathrooms, flooring, paint, fixtures, and new roof in 2017. New wood flooring in the living room and dining room, new tile floors in the kitchen, new carpeting, fresh paint throughout, and all three bathrooms have been updated. In addition, there is a finished walk-out lower level with tile flooring and fireplace in the family room, an updated half bathroom, still plenty of storage, private patio in the rear yard, and an oversized two car garage. The home backs to common ground and is situated on a low traffic cul-de-sac street. This is a great home offered at a great price. From Big Bend Blvd, go north on Reis Road, to left on Twigwood, to right on Ballwood, home is down the hill and on the left.